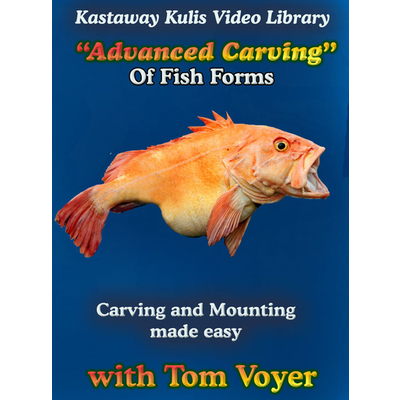 The latest DVD featuring Tom Voyer a master at carving foam, is now available showing how to carve a fish body for the odd shaped fish one might get in to mount. It is fairly easy to carve a body of a fish that is uniform on contour. But what do you do when you need to mount a fish that has the cross section on a pear. Bot that easy. Yet Tom shows you a simple and easy way to do it. The DVD covers from skinning, carving, and mounting an large Alaskan Yellow eye.